When booking for a large group, email us for special group discounts! We offer you special rates when you package glamping along with Margaree River Tubing or any other activities we offer. You can build custom packages yourself or email us a request. 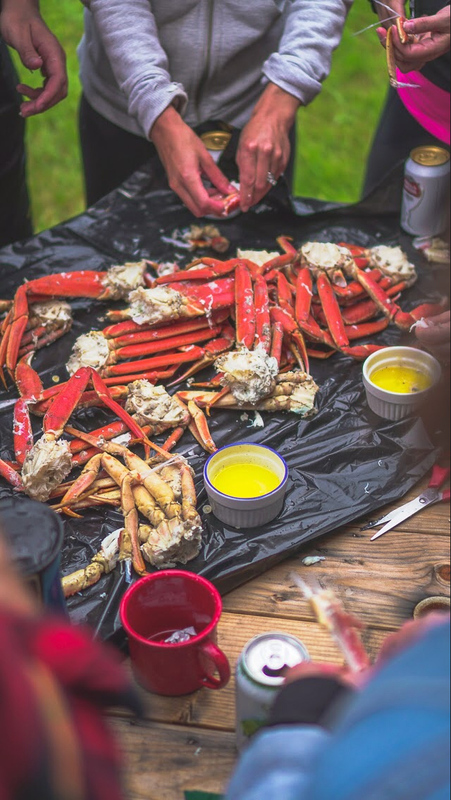 If you’re interested in getting your hands on some locally caught lobster or grab and having your own private boil just ask us to arrange it for you! The Dancing Goat Bakery & Café! This place is a local favourite. Great food, coffee and baked goods. We have the inside track to the best local guides, so if you would like to fly fish, we can arrange it for you during your stay. For both beginners and experienced fishermen. Gear and lessons included. One of the best ways to spend the day in Margaree is to float down the lazy river. We provide transport and discounts to guests staying with us. You can add this to your booking when prompted or ask us to add it into your booking. Be at one with nature and enjoy some of the best stargazing every night from your campsite. 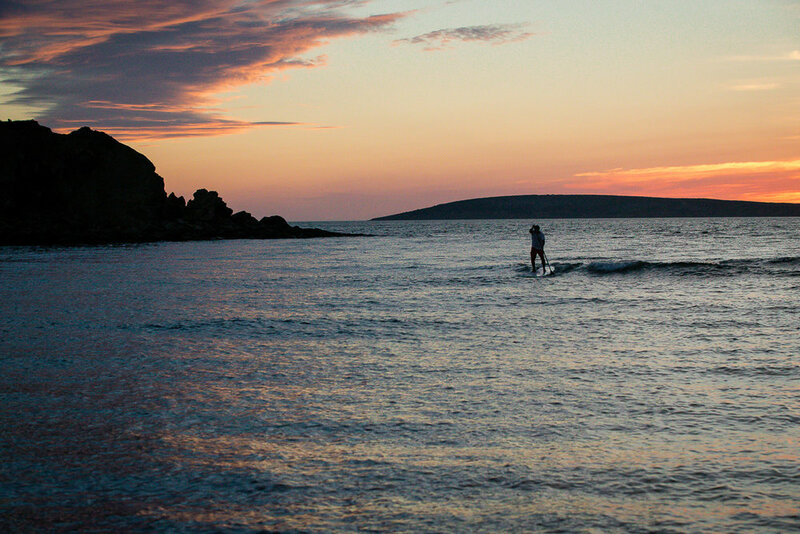 Enjoy nightly sunsets at some of the best lesser known beaches on Cape Breton Island. Only minutes drive from our location. Overhead view of the Live Life In Tents campground in Margaree Forks. Kick back and relax in the shade and enjoy a nice breeze in our hammocks. We offer close to off-grid camping with a hostel-like atmosphere. 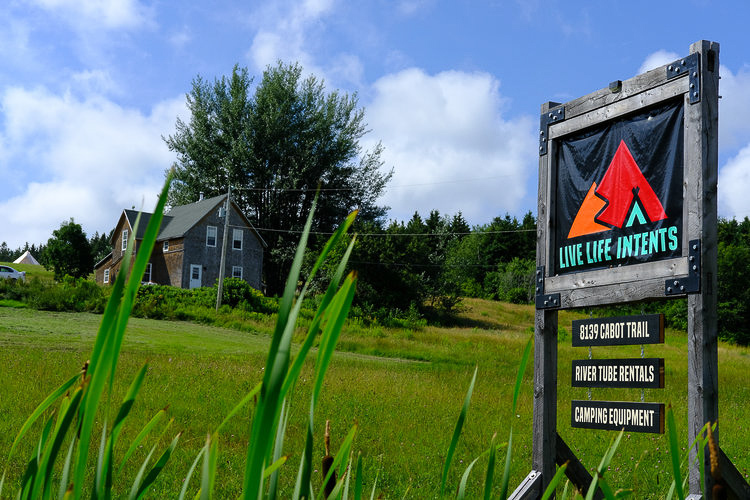 You're just minutes away from some of Cape Breton's best beaches and the best local swimming holes on the Margaree River. We have 8 campsites available, some with tent platforms and some without. Please let us know which you prefer! The campsites are located on a 100-year-old family farm which is a part of a new camping eco-hostel operated by Live Life In Tents. There are 8 campsites in total, a common use shelter for cooking or hanging out. Each tent is set in an open grassy area with a private view of the Highlands. Freshwater is available at this campground along with complimentary morning coffee to take with you on your journey. Common use washroom facilities on site. Wifi at the camp store with common use workspace, wifi, and a small shop to pick up anything you've overlooked before your trip. Please note that we can also provide a tent, extra sleeping bags, sleeping pads, and pillows for a small rental fee upon request. You will not get a campsite with all of these extras anywhere else on the island. Booking date selection and availability below. If you have any questions at all please email us or call anytime 9024521600.